Known as one of the most effective jammers in the world, the Russian helicopter-based radio electronic warfare system Rychag-AV is capable of protecting the entire vehicle by "blinding" all enemy warplanes and missiles within several hundred kilometers. A photo of what looked like the Russian Mi-8MTPR-1 helicopter equipped with the radio electronic warfare system Rychag-AV in Syria has emerged on Twitter. The Rychag-AV is considered one of the world's most powerful jammers when it comes to disrupting the electronics of combat aircraft and cruise missiles. — موسوعة عسكرية سورية (@Syr_Mil_Wik) 14 марта 2018 г. 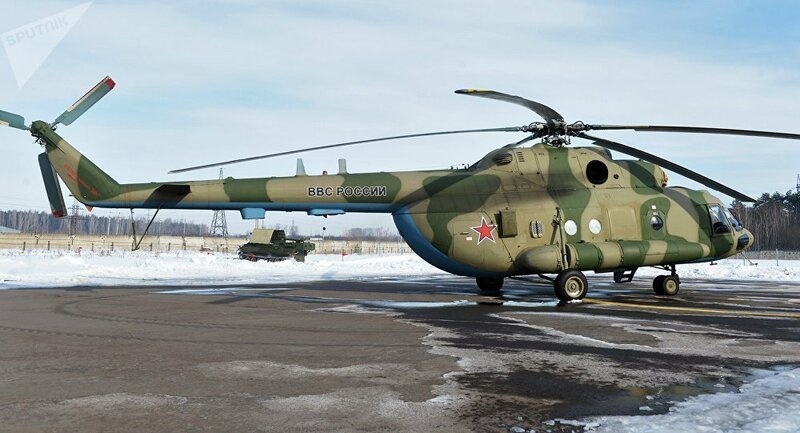 The system is typically installed on Mi-8MTPR-1 choppers and can completely "blind" the enemy up to 400 kilometers (about 248 miles) away. Additionally, Rychag-AV elements can be installed on ground-based mobile air defense systems. Russia's Rossiyskaya Gazeta daily cited military experts as saying that the Rychag-AV jammers added significantly to reducing the effectiveness of the US air strike on Syria's Ash Sha'irat airbase in April 2017. Russian sources reported at the time that only 23 Tomahawk cruise missiles hit the targets, while the remaining 36 flew off course.